Asclepias. 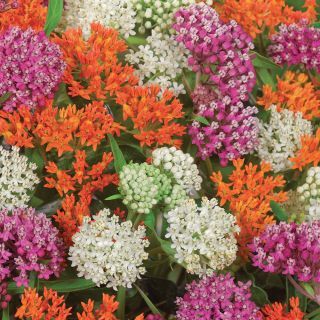 Also known as Milkweed, the Butterfly Flower attracts many types of butterflies, but is best known for being the sole host plant of the famous Monarch Butterfly. 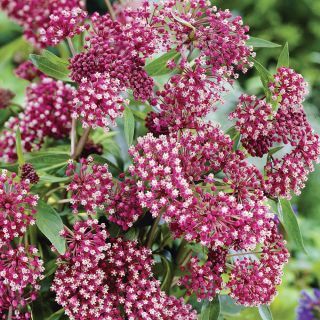 Large clusters of flowers will bloom for many weeks and are followed by attractive green seed pods. Plant in a permanent, full sun location and cross your fingers, you just might be rewarded with a visit from a Monarch Butterfly!